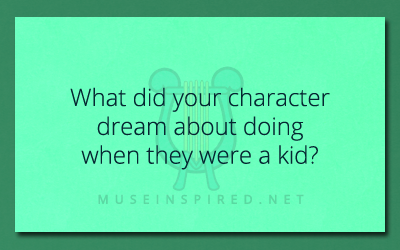 Character Development – What did your character dream about doing when they were a kid? Character Development - How do they behave at parties? Character Development - Can your character sing?